UPDATED: Thu., Jan. 24, 2019, 10:35 p.m.
Federal workers in Washington who are deemed essential and are working without pay, as well as those who are furloughed, can apply for unemployment benefits and get information about the program online at esd.wa.gov. OLYMPIA – Federal workers in Washington who are on the job but not being paid during the partial government shutdown are now eligible for unemployment benefits. Gov. Jay Inslee announced Thursday the state will begin processing claims for those workers, as it has been for the furloughed federal workers for the past month. “The federal government has failed these workers, so Washington is stepping up,” he said. Washington has about 16,000 federal workers. About half are furloughed and the other half are deemed essential, so they remain on the job without pay as long as the shutdown continues. The furloughed workers were eligible for weekly benefits that can be as high as $749 per week, depending on their salary, but the policy didn’t allow the state to provide those benefits to the essential employees because they were working. 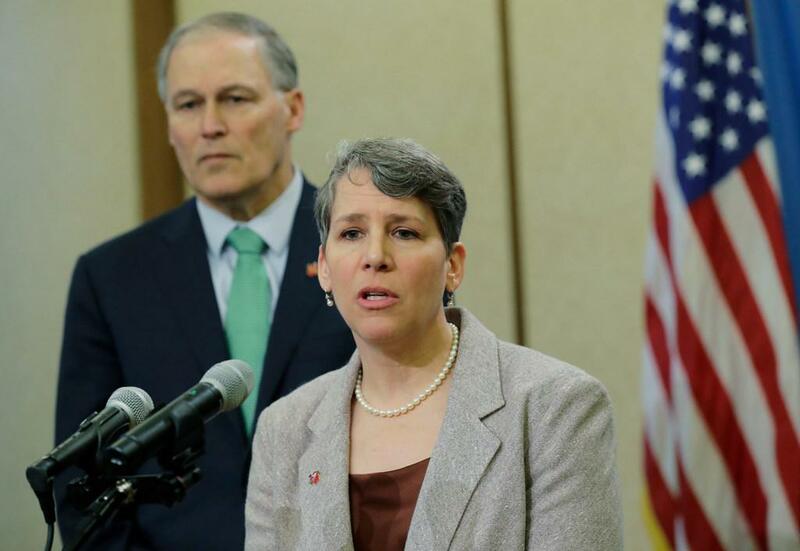 The state checked with the federal government about changing the policy, received a response that Inslee described as “somewhat muted” and concluded it should change the policy. Congress has passed a law that all workers, even those on furlough, will receive back pay when the shutdown ends. At that point, Washington workers who have received unemployment benefits will have to repay the state for the amount of money they received, although the state could set up a plan for workers to make those payments over time. Suzi LeVine, Employment Security Department commissioner, said the recipients could apply for benefits for the entire length of the shutdown. Processing a claim currently takes 10 days to two weeks. Based on the most recent data, the five federal agencies in the state with the most employees affected by the shutdown are the Agriculture Department, with 2,783 employees; Interior Department, 2,601; Transportation Department, 2,187; Social Security, 1,382; and Commerce, 1,130. Published: Jan. 24, 2019, 1:34 p.m. Updated: Jan. 24, 2019, 10:35 p.m.